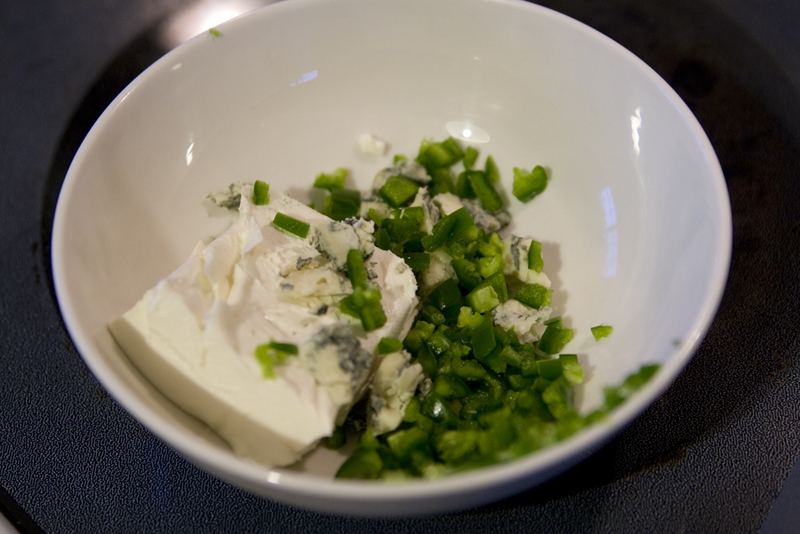 the only addition i made to the recipe was to add some blue cheese in with my cream cheese an jalapeno. and instead of putting some cream cheese on the chicken, then adding the other stuff, i mixed it all together first so it was a spread. assembly time! this was not as fidgety as the tacitos. 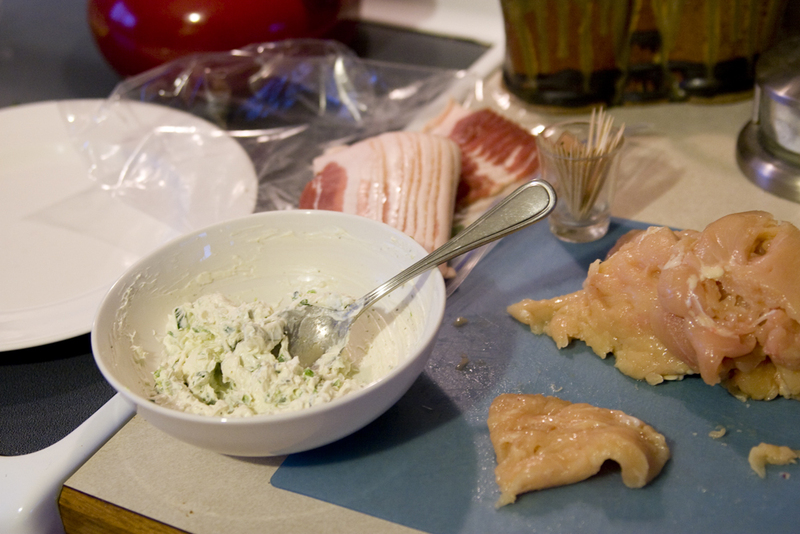 as you can see, you need to flatten out the chicken. i usually flatten mine with the mortar part of a mortar and pestel i have (it’s stone). but, that was packed away, so i flattened with the bottom of a bowl. not as effecient. 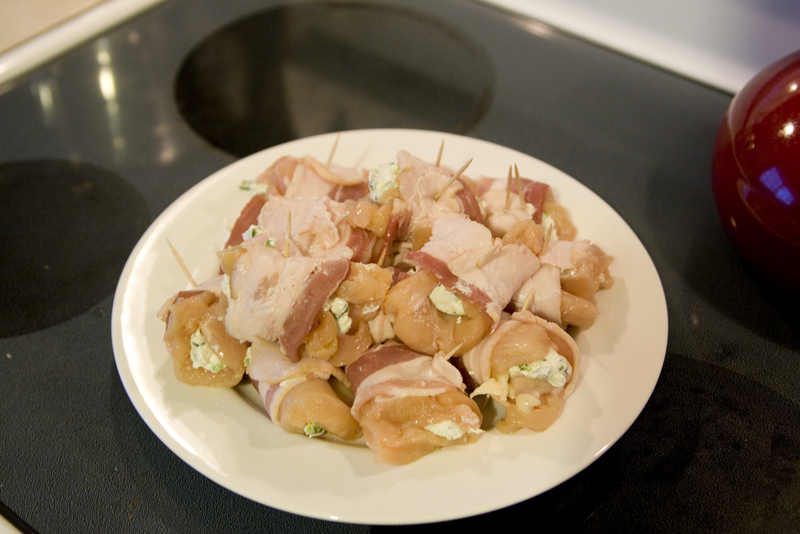 spread some filling on the chicken, roll up, and wrap with bacon, insert a toothpick to keep it all together. as you can see, i obviously have a problem with overfilling. 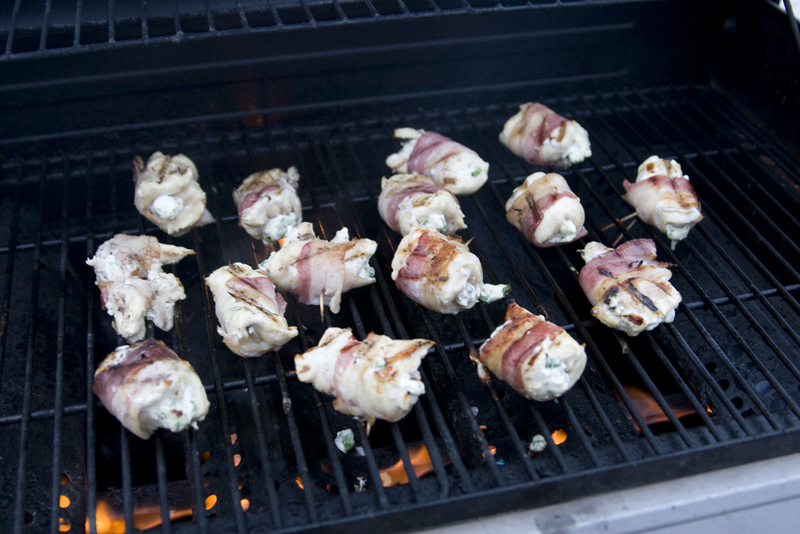 off to the grill! yummy! the only complaint i have about them is the chicken itself is a little bland since there was no seasoning directly on the chicken. i wonder if marinating it in something beforehand would help? maybe a brine? anyway, the bacon and filling helped. 4 out of 5 stars. 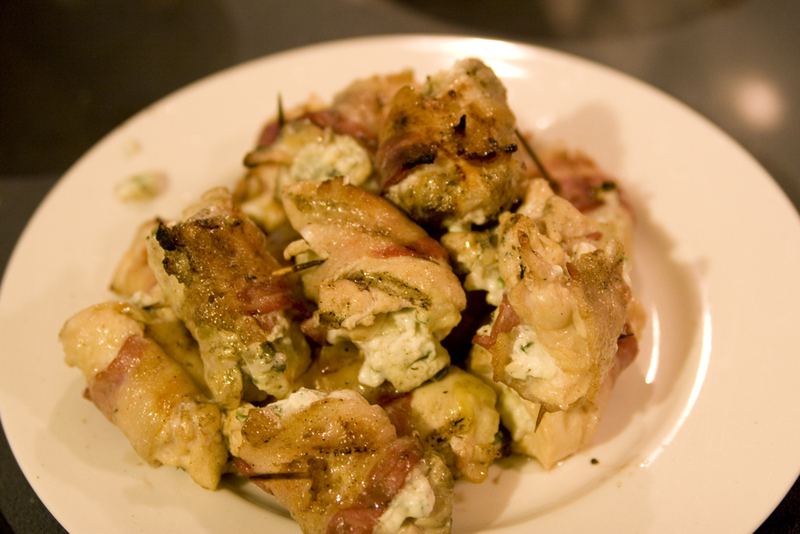 i think if the chicken were brined and had a little flavor, this would be a 5 star delight! at least i’m not the only who gets ooze! the pictures on the cooking sites make them look so perfect.